“We are thrilled with our new bottle labeller and CIJ Printer. We now have a fully automated packaging line at an affordable price. The system is easy to use, fast and very reliable. Applying labels and best before dates manually is a thing of the past. It has helped us increase our output threefold”. Based in Nottingham England, Sauce Shop is a start-up company who on a mission to bring better sauces to the nation. They don’t cut corners, and all of their sauces contain no thickeners, stabilisers or added water. Just great quality ingredients and a whole lot of flavour. Established in 2014, the founders, James and Pam, had an idea to improve the way people cook by replacing gloopy sauces with a premium range of freshly prepared sauces. Their sauces are now available nationwide and online through established retailers such as Ocado, Amazon, and Whole Foods. The customer was interested in a solution that delivered both labelling and batch traceability to their glass bottles. Batch traceability and minimum dates of durability (best before dates) are required under EU labelling laws which food manufacturers must comply with. 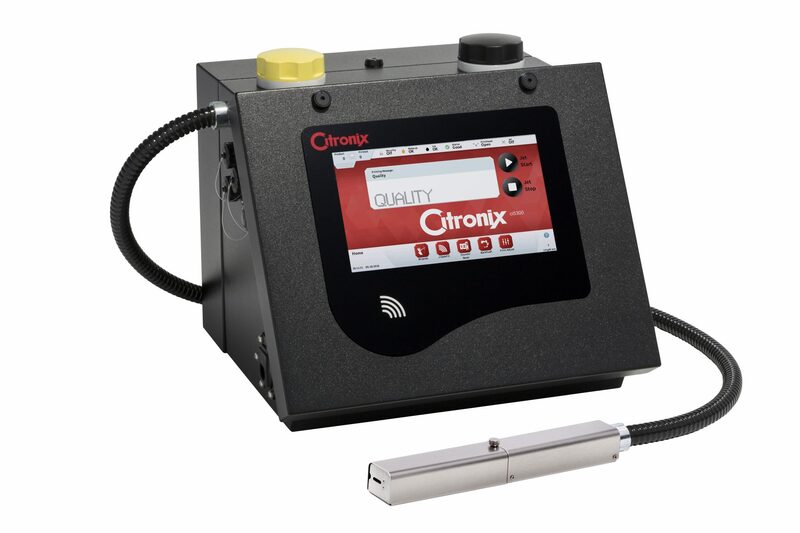 We had the ideal solution for the Sauce Shop by way of a 2-in-1 solution; a Citronix CIJ printer and an Intrex SET 1101 Cylindrical bottle labeller machine. 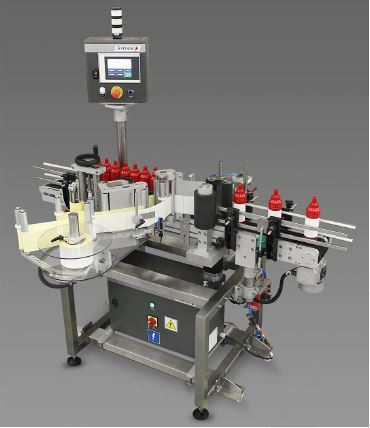 Because the CIJ printer calls for product movement to pass by the print head, the SET 1101 with its built-in conveyor system provided that handling of the glass bottles. The system allows the client to label and prints up to 60 bottles per minute making it a fast end-of-line packaging machine. The printer uses a general purpose black MEK ink that sticks to the bottle even in wet environments. The labeller uses a three roller labelling engine that provides precise label application at speed within a +/- 2mm tolerance. Please get in touch with us for more information on this installation.